You’re driving down a deserted street late at night and see the light turn yellow in front of you. You speed up a bit and squeak through, or so you thought. A couple of weeks later you receive a citation in the mail for running a red light. Welcome to the age of red light cameras. One of the most pervasive uses of modern technology is by the police. Providing high tech equipment for police departments and security agencies is a billion dollar a year industry. One of these technologies that has been in minimum use for years is the red light camera. In the past, the cameras were mainly used in intersections deemed as dangerous, where the most wrecks occurred. These days, the cameras are found in almost all intersections in major cities. In fact, all new lights installed in the United States now come equipped with these devices. 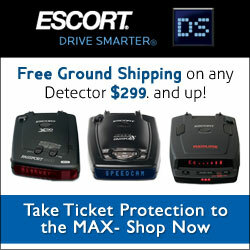 The all new MAX 360 Radar Detector – Power, Precision, 360 Degree Protection. If you are interested in beating red light cameras, you must first know how red light cameras work. A high resolution camera is placed somewhere in the intersection. Often you can see these cameras mounted on poles along the side of the road. Other times they will be right on top or beside the light itself. The camera uses a sensor to detect cars passing through the intersection. If it detects the presence of a car in the intersection when the light turns red, it snaps a high quality photograph. Depending on the setup, it will take a front shot showing your face and license plate and also a rear shot showing the plate. The only way to detect the presence of these cameras and avoid them is to know where they are. There is no magic red light camera detector. But there is a defense. As technology used by the police increases, so does the technology available to the rest of us. One of the most innovative uses of the internet and modern communications is the concept of social networking. This is what we must use to defeat red light cameras. Drivers on the network can use their smartphones to instantly report the location of red light cameras. The locations are marked with GPS coordinates. If you are part of the network, when you approach one of these cameras you will be alerted of its presence with plenty of time to stop. 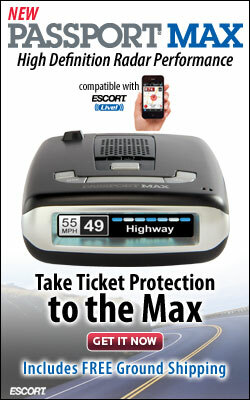 The network can also alert you of speed traps, DUI checkpoints and other types of road hazards. As the police use better tools to enforce the law, citizens must also use better technology to avoid the traps put in place. Consider finding an application for your smartphone that will let you become part of this network.